MANIFEST DESTINY #6 has completely sold out at the distributor level, but may still be available in comic stores. It is currently available digitally on the Image Comics website (imagecomics.com) and the official Image Comics iOS app, as well as on Comixology on the web (comixology.com), iOS, Android, and Google Play. The second printing of MANIFEST DESTINY #6 is available to order with Diamond Code MAR148147 and will be released on 5/14. MANIFEST DESTINY, VOL. 1 is available to order for $9.99 with Diamond Code MAR140546 and will hit stores on 5/14. 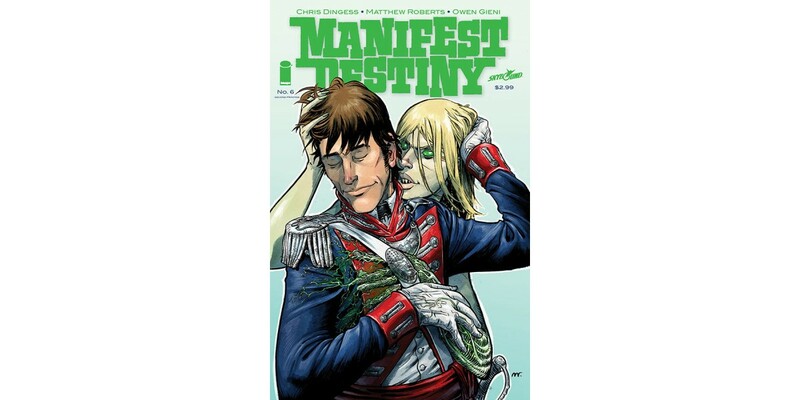 MANIFEST DESTINY #7 will be available on 6/11 and can be pre-ordered using Diamond Code: APR140575.